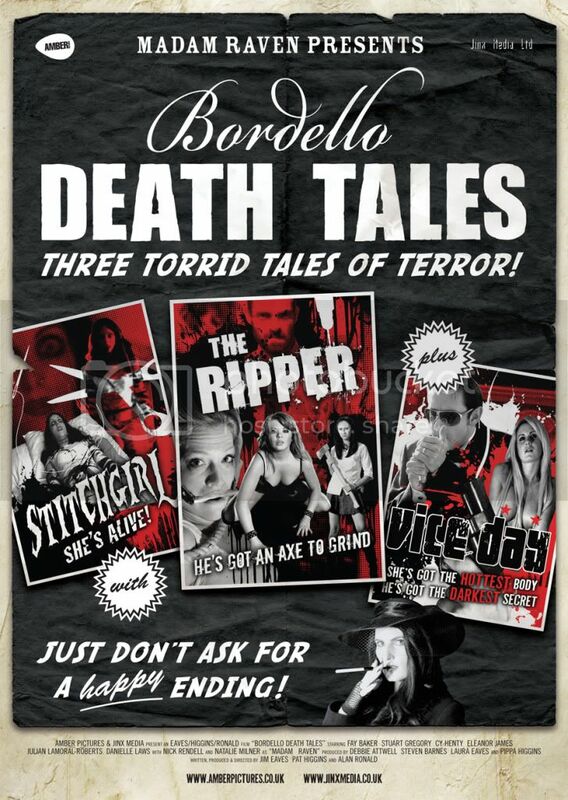 The first chances for the public to catch our sensational terror anthology Bordello Death Tales (with brand new interlaced stories from James Eaves, Al Ronald and my bad self) are coming up over the next couple of weeks. The flick is nasty, funny and full-tilt.. The first online review can still be read over at MJ Simpson’s site and the first festival dates are as follows..